Many people are frightened of or intimidated by the Second Series of Ashtanga Yoga. But it is truly one of the most fun sequences! David will present the Second Series with great compassion, patience and humor. Students should have a regular practice of the First Series in order to attend this class. David will lead the participants through as much of the Second Series practice as seems appropriate for the group. He will offer alternatives and guidance along the way and explain methods and techniques to make the Second Series asanas feel more accessible and user-friendly. This class is a great way to experience the dynamics of second series in a safe and fun environment. Tight hips can cause problems in other areas such as the knees and back. David has devised an approach of exploring the hips through slow and gentle movements, stable holding of postures and deep breathing which all combine to bring greater openness to the hips without forcing or pushing. To create stability David will share methods of activating one area in order to relax another. This balanced approach is both safe and effective and can be applied to other regions of the body as well. As always, David will manage to make this enjoyable experience. Our first act of life as we enter this world is to inhale and our last act before departing is to exhale. Breath is our most elemental form of life and unites all of humanity yet we think little about it. The ancient yogis gave it great thought and in so doing developed intricate methods of harnessing breath to gain control of the mind and to see the world with greater clarity. This class will delve into the realms of specialized Yogic Breathing as well as the subtle and highly misunderstood internal energy valves known as Bandhas. There is much confusion surrounding these mystical tools and the part they play in the regulation and control of pranic flow. David will share information he gained directly from K. Pattabhi Jois as well as a series of practical exercises he has developed himself to assist the practitioner in gaining a greater understanding of these subtle yet powerful energy gateways of yoga. David has an amazing ability to convey complex ideas in simple terms. All are sure to leave with new insights and useful tools for personal practice regardless of their system. Come and Feel the Prana! Whether you are frightened of inverting or love to hang out upside-down and whether you have a flexible back or a stiff board-like spine there is much to be learned from David’s insightful tools for building confidence and gaining control in Inversions and Backbends. David will take the class on a journey of exploration into the unseen world of Gravity and share methods of how to utilize this perpetual energy as a stabilizing force for establishing our roots from which we can grow into inversions and backbends with greater ease and more confidence. He will teach the participants methods to expand the front of the body and open the heart rather than collapse the back in order to discover greater depth in a backbend with less effort and more grace and efficiency. Take the seeds of information he shares and plant them within the fertile ground of your personal practice and watch them grow! Whether standing on our feet, hands, head or any other body part balance can be one of the most challenging aspects of practice. David will share his personal insights and methods of finding balance in an unstable world. 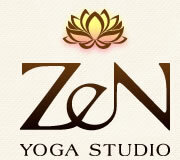 The class will contain partner work as well as individual pursuits of balance in an array of asanas. Interestingly there are many parallels between the techniques used for physically balancing in our body and also in finding balance in our life. David has an amazing ability to convey complex ideas in a simple, fun and practical way. Regardless of what system of yoga one does there is sure to be a wealth of knowledge gained from this class that can be applied on the mat and in life! David will share Stories, Anecdotes and Insights gained over his more than 40 years of yoga practice and pursuits of spiritual life, love, health and adventure. David is a witty, humorous and inspiring storyteller. His life is filled with colorful, sometimes wild, sometimes sad, sometimes hilarious and always entertaining pursuits of knowledge of the world around him and the wonders that reside within us all. Within his tales of travel, fasting, chanting, seeking, studying, laughing and crying there is always a thread of sincerity of purpose that anyone seeking greater meaning of life can relate to and possibly even gain tools of insights of their own from the mistakes, successes, failures, triumphs and bumps along the road of life that David shares with honesty and heart-felt sincerity. Buckle Up It’s a Wild Ride! Early bird price is available when you pay your class fee by May 30th. There are share rooms available just next to the studio for 20 dollars per night. Copyright (C) 山形市ヨガスタジオ ZEN.All Rights Reserved.